I'm not sure if I have suffered from sleep paralysis or not but what I've experienced seems to match exactly what everyone is talking about. Last night was the second time. I was in a half-awake, half-asleep, dream-like state, which I think could have been lucid dreaming and then literally for reasons unknown to me I just couldn't get up, my arms felt like they were filled with waves of pins and needles and I couldn't move my head at all. I tried to call out for other people sleeping on the same flight as me but I couldn't move my mouth at all and could only make a kind of 'mmmmmmmm' noise. Then when I eventually did move, I mean it probably only lasted seconds but it felt like ages, I was terrifed, crying uncontrollably and struggling to breath. The first time was a few months prior where the girl from the exorcist was holding my legs down, literally I mean, it seemed so real, she was literally there holding my legs, and again I couldn't move my head or make anything but the 'mmmmm' noise. 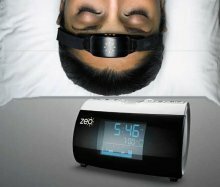 I just wondered if this is similar to what everyone else is experiencing and if it could be sleep paralysis? First of all, thanks for sharing your story with us. From your descriptions it very much sounds like you've had a few sleep paralysis experiences. In a nutshell, this happens because during sleep your body is paralyzed to keep you from acting out your dreams and this paralysis can sometimes trickle into the first few moments of wakefulness. Hallucinations that appear during sleep paralysis are essentially leftover dream images that you see although you're awake (this explains you seeing the girl from the Exorcist). It is also extremely common during episodes to feel a pressure on your chest or legs, also a feature that matches your story. Above is a very brief description, but if you'd like to read a bit more check out this page on the causes of sleep paralysis. I encourage you to read through some of our other visitors' stories as well because I think they will provide you with some helpful insight. Please let us know if you have any additional questions or information to share. 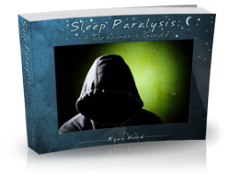 Comments for Sleep Paralysis Information Please! I am a 46 year old woman who has been under a bit of stress of late, last night, I woke up unable to move or talk, I was trying to call my husband to help me but couldn't get a word out, my right leg was touching his and I tried to nudge him to help me, I could see fine, but couldnt move, my top half of my body felt warm and pin and needles sort of feeling, I was terrified, nothing like this has ever happened to me, it seemed to take for ever to be able to move then I woke my husband and told him to watch me. I was also very tired when I went to bed, pretty sure it's this sp ? What do you think?